The Whipping Club explores the sacrificial secrets we keep to protect our loved ones and the impact that uncovered secrets have on marriage, family and society. Both a wrenching family drama and a harrowing suspense story, it chronicles an interfaith couple's attempt in 1960's Ireland to save their son from corrupt institutions. The Whipping Club by Deborah Henry follows Ben and Marian, a mixed couple of Jewish and Catholic backgrounds, their daughter Johanna, and their son, Adrian, who Marian gave up for adoption ten years earlier. Set in Ireland, the first chapter opens in 1957, but the novel is primarily set ten years later, 1967 and on. Finding herself pregnant before they married, Marian gives up Adrian, the couples first child, after staying in a Catholic home for unwed mothers. 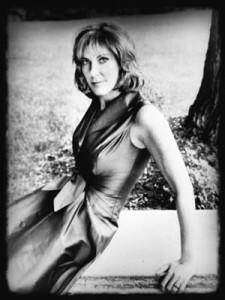 She and Ben marry later, and have their daughter, Johanna, but Marian is rife with guilt over giving up their son. Then she learns that Adrian was never adopted but was, instead, given over to an orphanage. Marian tells Ben her secret, discovering that he already knew it, and the couple set out to find and then add their son back into their family. This struggle then illuminates the injustice and abuse orphans and unwanted children suffered at the hands of the Catholic run system in Ireland. At the same time their daughter Johanna is also facing religious intolerance based on her parentage. The Whipping Club is a melancholy, bleak page turner. We experience Marian's (unnamed) depression, the brutality in the orphanages, the uncertainty that there is a satisfactory conclusion to the myriad of hopeless situations present. Henry is an adept writer and she does a good job with character development, even when several major characters were not very appealing. The story did keep my interest right up to the end. The description of the brutal treatment of the children at the orphanage is horrific. I did have a few qualms about the novel. First, while The Whipping Club is well written, the actual dialogue didn't fully convey the emotional upheavals the characters are experiencing. My biggest hesitation about the novel was that, as I was reading, the first part of the novel seemingly was heading one way and then diverged to another direction. While this could be describing an intriguing plot development shift, unfortunately in this case it feels more like the intent became obscured by a switch of focus and some clarity of purpose was lost. Perhaps my reservations about the novel could be answered by integrating all the characters right from the beginning and weaving their stories together toward a final conclusion. That might have required rewriting the entire novel, a daunting prospect for a novel that really is not badly written to begin with. So, in the end, I enjoyed reading The Whipping Club but I am feeling a dichotomy over rating it. It is a very well written novel and I've been known to rate based on writing ability. I've also been known to rate based on exciting plots in spite of the writing. Here we have skillful writing but the main storyline of the novel felt like it loss it's original focus and changed direction to a different focus - but different isn't always bad. 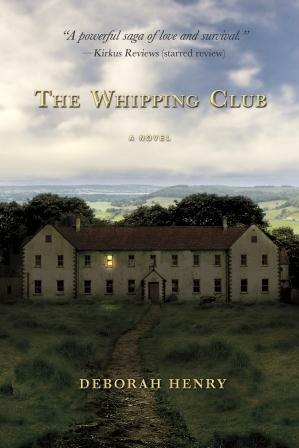 I've decided to Highly Recommended The Whipping Club, for a first novel, and watch for promising future novels by Henry. Disclosure: I received an advanced reading copy of this book from the author and TLC for review purposes. "I know this sounds rosy, but let me tell you, he'll resent you. And he'll resent the baby, as well. Further, whatever love's between you will be lost." She could feel the drumming of blood in her chest. "Because sometimes love is not enough, Marian. That's the truth." "You don't know us, Father." But where are you going?" "It's a rest I'm going for. A lovely rest." "Da, today my teacher asked me if I was Jewish." Curious about the duality of her own Jewish/Irish heritage, Henry was inspired to examine the territory of interfaith marriage and in so doing was led to the subject of the Irish Industrial School system. I can certainly understand the dichotomy you mention but I'm glad that you are able to recommend this book.